“What do you write?” they say. The truth is, it’s complicated. I’ve written everything from blog posts to brochures, and newsletters for small businesses to articles in national women’s magazines. Right now, I’m ghostwriting a book and doing content marketing for a variety of clients. But where my heart truly lies is in travel writing. Every time I step into a new country, see a sunset, visit a cool rooftop bar or buy a tacky souvenir from a street vendor, my mind is already racing with how I can incorporate the experience into my next article. The thrill of opening my email to see a new assignment from an editor keeps me flying high for days, and the moment I see my finished article in print still gives me goosebumps of excitement. I love travel writing, and for everyone who dreams of giving it a try for themselves, I’ve written a short eBook outlining the specifics of the job. It’s a short and simple guide to give you the lowdown on what to expect and how to get started. 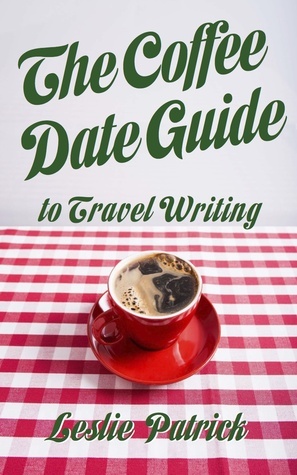 I’m offering my book, The Coffee Date Guide to Travel Writing, for free this week on Amazon. Click here to grab your free download, Tuesday, June 23rd—Saturday, June 27. I love helping others realize their writing dreams, but let’s face it, I’m also offering it for free in the hopes of generating more honest reviews. Thus, if you have a chance, I’d truly appreciate your feedback both on Amazon and Goodreads. Thank you! My other eBook, The Coffee Date Guide to Freelance Journalism, is a number #1 Kindle bestseller in the journalism, education & reference and writing skills categories, and here’s hoping you’ll like The Coffee Date Guide to Travel Writing just as well. As a writer myself, it makes sense to have a writer (a very successful one at that) as a fiancé. Right now the super talented Leslie Patrick (said fiancé) is offering her excellent how-to guide to ‘Travel Writing’ absolutely free. So why not check out her post, and download your FREE copy today!